That’s why we’re pro-life and pro-liberty, and will always unswervingly support a strong and secure America. 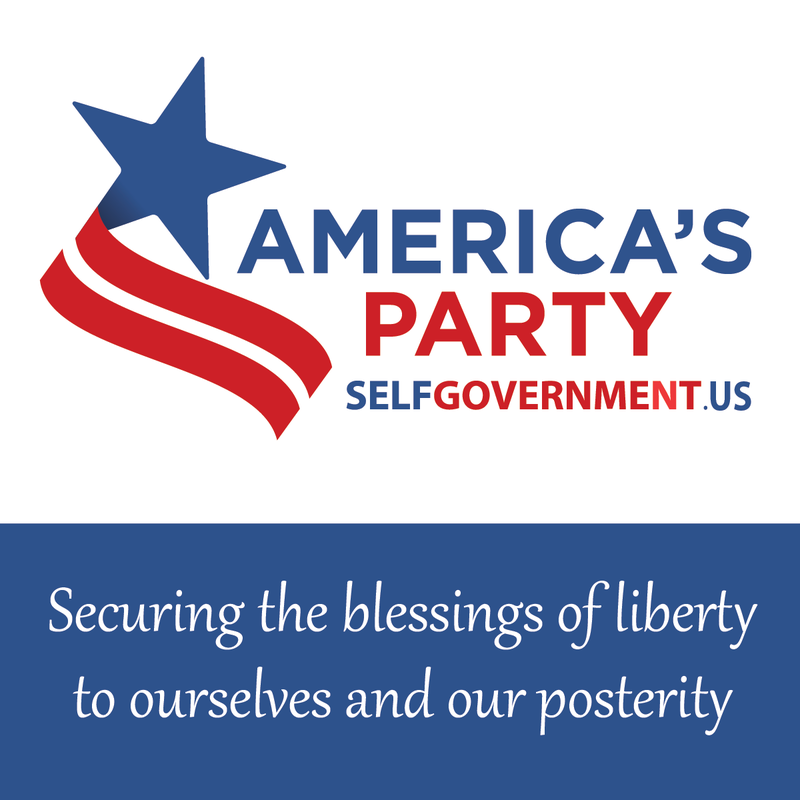 Along with the signers of the Declaration of Independence, we believe in the self-evident truth that all men are created equal, that our unalienable rights to life, liberty, and the pursuit of happiness come from our Creator, and that just government can only exist by the consent of the governed. We are recruiting, training and equipping a new generation of leaders – patriotic men and women who will courageously act to implement these principles in public policy. History proves, beyond a shadow of a doubt: AMERICA’S PRINCIPLES WORK when the people put them into practice. America’s Party is committed to restoring government of, by and for the people – not just in words, but by DEDICATED, ORGANIZED, UNITED ACTION. America’s Party endorses candidates based on principle, not party affiliation. We intend to change America’s political culture by example. Like President Ronald Reagan, we firmly support a policy of Peace through Strength. We support our troops and our veterans. We demand secure borders and a strict adherence to the rule of law when it comes to immigration policy. We will always remember 9-11-2001, when America was attacked, the towers fell, and America’s heroes, average citizens, gave their lives to save others. We are completely committed to free enterprise and economic liberty, and have a practical plan to restore economic prosperity, for the sake of our posterity. Our nation’s political leaders have failed, because they have abandoned America’s Principles. A DEDICATED, ORGANIZED, UNITED conservative movement, made up of, and led by, average citizens, is the only hope that exists for saving America from the results of those failures. If you believe as we do, please join with us today!